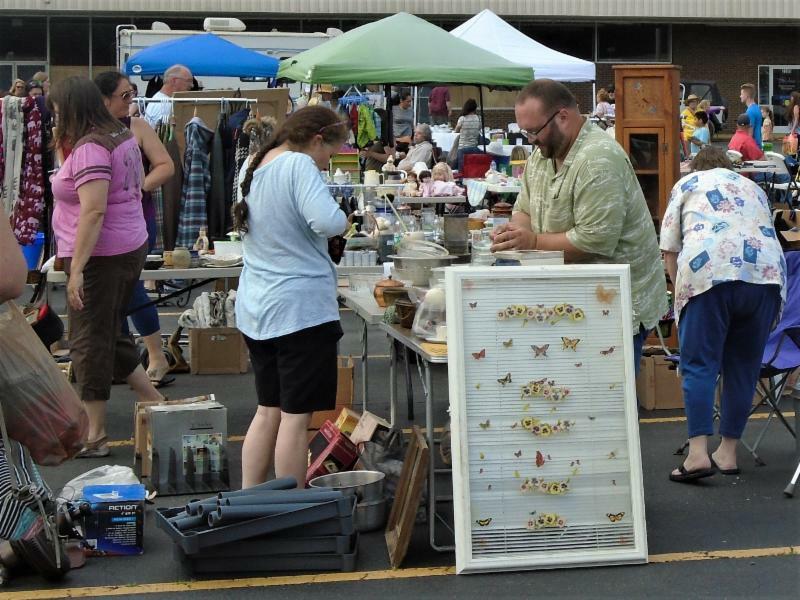 Shoppers hunt for bargains at the Swannanoa Community Yard Sale, held in the Ingles parking lot on Saturday, June 2. The yard sale is sponsored by Friends and Neighbors of Swannnanoa (FANS) and happens twice a year, in the spring and fall. 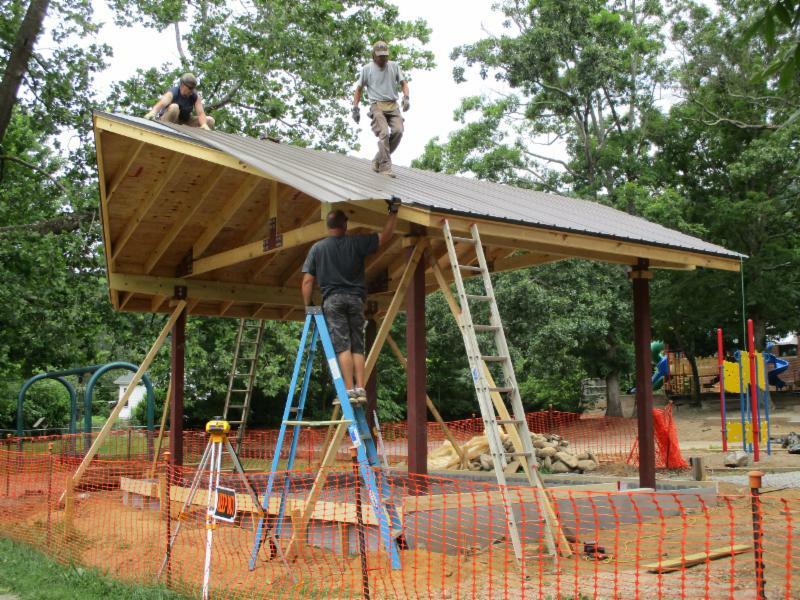 Workers install the roof on the new performance pavilion in Grovemont Square, adjacent to the Swannanoa Library. The pavilion will be used for the first time during the Groovin’ on Grovemont outdoor concert series that begins July 10.